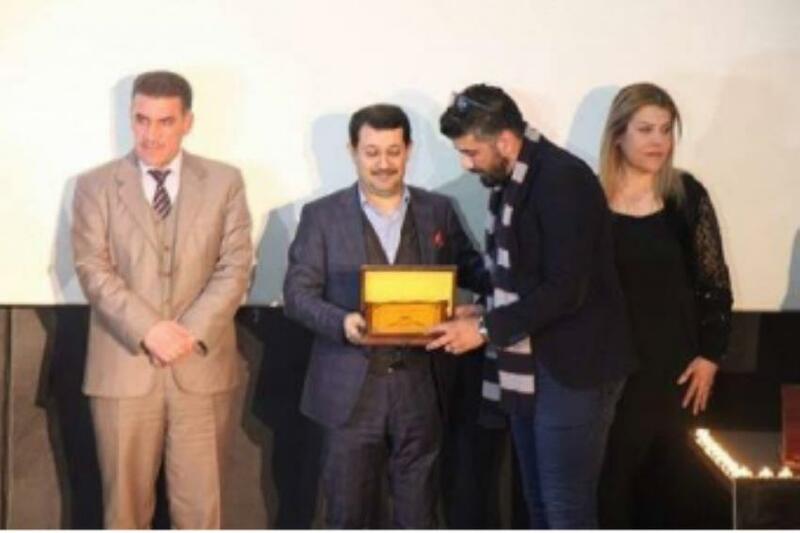 The Second International Anti-Terrorism Cinema Forum ended its work on February 2nd 2017 in Erbil and the winning films were announced. Microphone, directed by Karimok, won the best Kurdish film, while Dyab which is directed by Mazin Sherani won the best documentary. The film 8, directed by Aseen Sifaj won the best idea and scenario, in addition to the best director. Jwan, directed by Ali Jabry won the best Iraqi film. Yasamen, directed by Muhannad Kalsoum won the best Syrian outside. The actress Shadi Safadi acting in Hiwa, directed by Kinan Sharef won the best actor prize. The film Running away, directed by Zulfaqar Mutairy won the jury’s prize. Pshtiwan Abdullah, one of the event’s organizers said, regarding the Arab and Egyptian artist’s opinion on the Kurdish films, that they were astonished by the good quality of the films. The Second International Ant-Terrorism Cinema Forum was held on February 1st 2017 in Mega-Mall Erbil, with 28 films taking part, all with anti-terrorism themes. The participated films are to be shown in Sulaimani too.